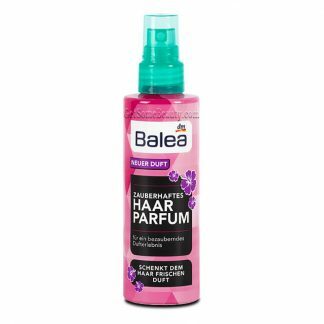 The seductive hair perfume of Balea refreshes the hair with a flowery scent. It neutralizes bad smells and fits in every handbag. Ideal for parties or travelling. Application: spray 2-3 times from about 30 cm distance on dry hair.